Science is a wonderful privilege that I enjoy, and to me, scientific culture determines the quality of research, discovery and invention that we produce. Yet, as an academic culture we suffer from a persistent lack of diversity and many negative cultural trends, like valuing competitiveness and workaholism over collaboration and wholistic thinking. Collective culture is a choice. While as an individual I feel very puny and ineffective at making any difference whatsoever, I believe that collectively we have the power to completely change culture. I learned this the day I wrote my first and only blog article, the awesomest-7-year-postdoc. Little did I know how many out there felt as I do, and are working to bring change. And I am proud to be part of that global network --- it is where some of the best scientific ideas are coming from, because the best people know there is no science without scientists. This page has links to several articles and resources I like, as well as several advocacy projects I've worked on. Sciencefor2020: A Boston area science activism website created and curated by researchers at Harvard, MIT, and BU. Performance of human teams is strongly predicted by group equality (and women), not by individual IQs. We should all be feminists, TED Talk by Chimamanda Ngozi Adichie. For Computer Science: The Harvey Mudd study (pdf), the Grace Hopper (GHC) and Tapia Conferences on Diversity in CS. Science Culture: In 2013, I wrote a Guest Blog for Scientific American on challenging myths surrounding tenure-track life and on my personal efforts to be the best "whole person" I could be; this blog struck a chord with many people across many careers. More recently (April 2018), I gave a Talk: The Pursuit of Collective Intelligence: 3 Myths to Replace (video) in the Distinguished Lecture Series on Science and Engineering Culture at Cornell University, hosted by my colleague Hadas Kress-Gazit; this talk was first given at the RSS Women in Robotics Workshop (2017). Within my lab we host regular "culture day" meetings where we discuss and put in practice social responsibility goals (e.g. environmental responsibility, work-life balance, civic engagement, impact REU program, etc). Diversity in Computer Science: At Harvard I have worked for many years on initiatives at the undergraduate level. In 2011, as a tenure-track faculty, I co-wrote a white paper with Margo Seltzer (Whiitepaper, 2011) to raise a donor fund for women/minorities in CS. 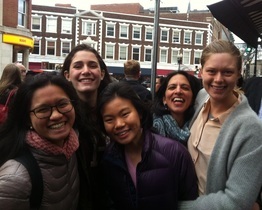 Thanks to a wonderful Harvard alumna, Anne Popkin '87, this 350K fund helped us with the founding of WiCS (with Anne Madoff and Amy Yin), GIIM (with Amanda Glazer, Vikram Sunder, Meena Boppana), and WECODE (with JN Fang). This fund also partially supports sending over 40 Harvard undergraduates to the Grace Hopper and now Tapia conferences every year. I am also a regular panelist/speaker at diversity events, e.g. 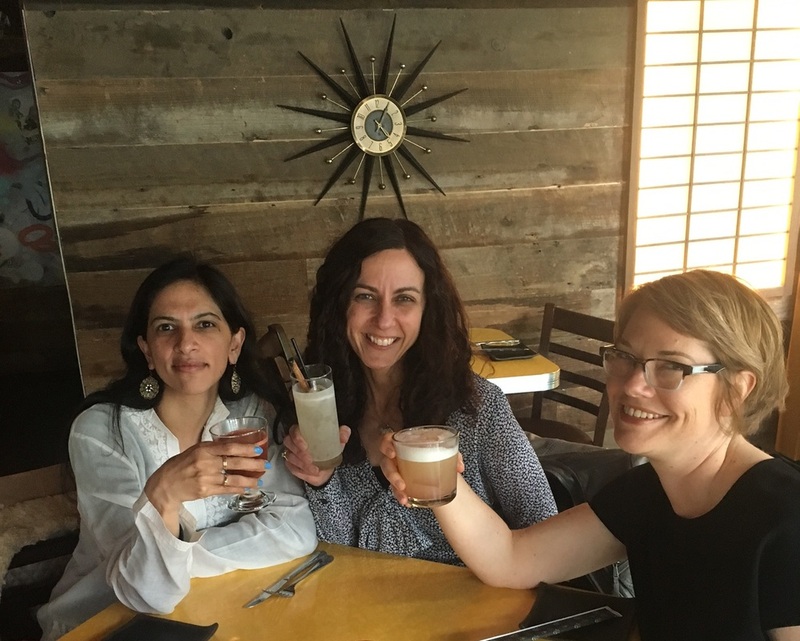 the CRA-W Grad Cohort and the MIT Path2Professorship. My lab is very active in K-12 and Public-facing STEM events, especially those that promote diversity in STEM; our lab's startup Root Robotics is aimed at broadening and diversifying early education in programming and AI/Robotics. Faculty Diversity and Institutional Change: In addition to serving on university level committees, I've worked on several grassroots reports and advocacy projects related to gender and faculty retention, childcare, parental leave, minority faculty pipeline, and harassment/TitleIX. ​A Report on Retention Loss of Tenure-Track Women at Harvard (report, nov 2016; crimson news article dec 2017) exposed how a large fraction of women across science and engineering were leaving before tenure, and which departments this was happening the most at. Also see recent Harvard Open Data Project article on faculty gender disparity by department. I have also worked internally on harassment and Title IX issues in several departments, e.g. see articles on math department issues that led to the founding of GIIM (article, editorial) and the SEAS climate survey results exposing harassment problems (survey results, crimson editorial). A Report advocating for Better Childcare at Harvard (report, spring 2015); As of 2017, the old Harvard childcare system is being consolidated and restructured, and there is space for a new daycare facility in Allston. I have also worked on internal reports related to Faculty Parental Leave, which led to an external evaluation and recommendations for changes in the policies in 2018. NSF-funded FLIP Alliance (Diversifying Future Leadership in the Professoriate); I am the Harvard representative on this alliance and serve on the graduate admissions diversity committee and other committees to improve the URM academic pipeline.